Skills required: casting on, knitting, purling, knitting in the round, increasing, decreasing, yarn over, binding off. Construction: The garment is knit seamlessly from the bottom up. 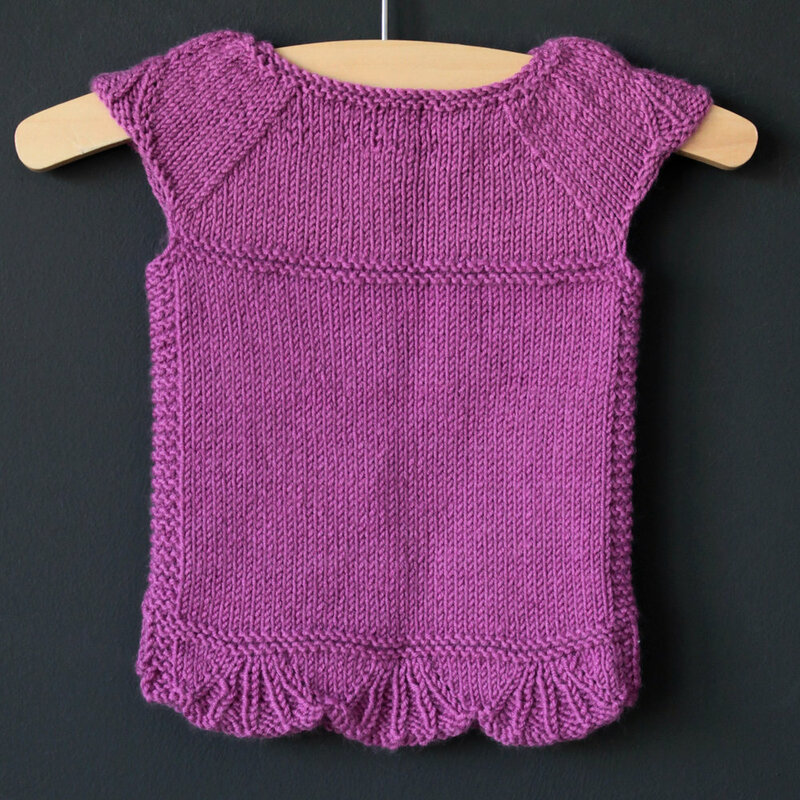 The front and back bottom hems are knit separately, then joined and knit in the round to the armpits. The body and bottom of the button placket are worked in the round, seamlessly, then sleeve and yoke are worked flat. The garment is designed as a top, but the body section can easily be lengthened to make it a tunic or a dress. Finished garment has chest measurement: 17 (18, 20, 22 // 25, 26, 27, 28) inches or 43 (46, 51, 56 // 63.5, 66, 68.5, 71) cm. 1.5 (2, 2.25, 2.75 // 3.5, 3.75, 4, 4.5) balls or 215 (265, 310, 370 // 465, 505, 540, 610) yards or 195 (242, 283, 340 // 425, 460, 495, 558) meters.